There are times in life when you need that extra cash to meet an immediate goal. If you have considered all other options such as taking some help from friends or relatives and have not found a way out dipping into your savings pool may not be a good idea at. What you can consider instead is opting for a personal loan. However, there is no reason to assume that getting a personal loan is child’s play, despite the fact that you have had telemarketeers chasing you almost daily! Like with any other loan product, your Cibil score will determine your loan eligibility here as well. 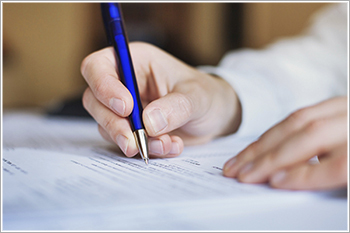 As the name suggests, a personal loan can be taken to meet a number of personal financial goals. You may need to need to pay for a medical procedure, make home improvements, pay for your own wedding or for that of a sibling or may be a small business owner who needs to make an urgent purchase for business expansion. Sometimes people also opt for personal loans to refinance or consolidate debt that is demanding a high rate of interest. But have you really given a thought about which situations are best to take a personal loan? Let’s consider some instances and analyse whether you are better off with or without a personal loan. In theory it may seem easier to pay off your credit card bills with a personal loan, but do remember that by doing so, you are only moving your debt pile from one place to another. You should therefore consider taking a personal loan if you are lowering your annual rate of interest on your loan. For instance the rate of interest on a personal loan can vary from 13.99 % to 23%, depending upon the lender you choose and your Cibil score.This is considerably lower than an annualized rate of interest of 35% if you have managed to get yourself in the minimum amount payment cycle and are not making repayments towards your principal amount. You may also consider taking a personal loan if you have an outstanding amount on more than one credit card and wish to consolidate all payments. It is obviously much easier to concentrate paying off one loan payment rather than having several repayments that are giving you sleepless nights. You may think of taking a personal loan to make substantial changes to your home, but instead of taking a personal loan for the same, you may consider taking a loan from a bank.Most lenders have a home improvement loan product or a renovation loan under which they finance 80-85% of the total cost of renovation you are undertaking. The lending rates for such loans up to an amount of Rs 30 lakhs range between 10.5 to 11 % while loans above Rs 30 lakhs are available at an interest rate ranging between 10.75% to 11.50 %. If you need money urgently for a medical procedure for yourself or someone in the family you are better off depending on your medical insurance. These days most hospitals have a cashless facility, so coughing up a lot of money on an immediate basis is no longer necessary. You should however not neglect this aspect and take adequate medical insurance cover well in advance. As for a business purchase, it is a judgement call that you need to make, but do consider taking a business loan from a bank prior to opting for a personal loan. There are several loans available for SMEs today that may offer you better financing and repayment options. There is no doubt about the fact that a wedding or a vacation can be a huge financial burden, but you cannot really call them unplanned or sudden. While it is true that you will pay a lesser amount of interest as compared to a credit card, it is better to save up for such expenses well in advance rather than pay for them with a personal loan which is an unsecured debt at the end of the day. Personal loans are definitely a lucrative option and relatively easy to procure these days, but it only makes sense to take one if there is an unavoidable and immediate need for money. The other instance when you can consider taking such a loan is when there is an opportunity to save money on interest rates. Otherwise, if it is that designer outfit, diamond ring for your wife or a fancy trip with your family that you badly want, its best that you save up for it rather than pay interest on the purchase!